Whenever a new study about the health risks of some delicious food comes along, I sigh at my keyboard, exhaling a soft “I’m just trying to live my life, man.” Coffee was the latest comestible we were supposed to be concerned about, and that was devastating enough. 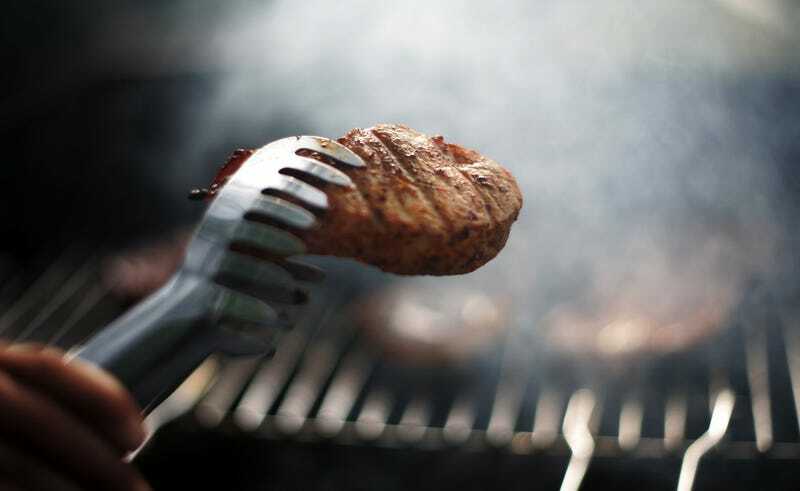 Now, Chinese researchers question whether we might not even have to eat grilled meats in order for our bodies to absorb carcinogenic “polycyclic aromatic hydrocarbons” (PAHs)—the smoke from our grills alone introduces these into our bodies. Well, great. So even before I’ve bit into the juicy, sauerkraut-topped grilled brat, I’m still screwed just because I showed up at the brat party and hovered near the grill? (How else can I guarantee I’m going to get the primo brat?) Life is cruel, what with science declaring all my favorite foods and beverages as “health risks.” I do try to eat healthfully and work out and all that, but if grilling brats are what ultimately does me in, then at least I’ll die doing what I loved.